Truong Van Ba, deputy chief officer of National Steering Committee 389, speaks to the Hai Quan (Customs) newspaper about the country’s resolve to protect the people from eating unsafe food. * Recently, a significant amount of unsafe food was found to have been transported across the border into Vietnam. Can you elaborate on that situation? Since late 2015 - particularly the period before, during and after the 2016 Lunar New Year (in early February 2016) - the smuggling, transporting and selling of unsafe food reached a climax. In my opinion, a key reason leading to this problem is that the demand for safe food is much higher than the supply capacity. Coupled with that is the low awareness of food safety on the consumer end. The words “unsafe food” here refer to foods that are made from expired frozen meat, food processing facilities using banned chemicals, expired materials or toxic chemicals and others. 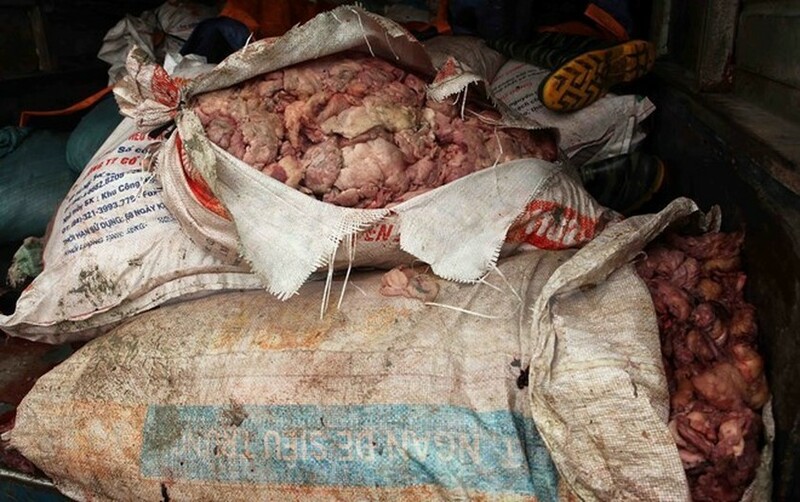 Facing that serious situation, the National Steering Committee on Combating Smuggling, Commercial Fraud and Counterfeit Goods – known as Steering Committee 389 - has launched a nationwide campaign to punish any individual or organisation violating food safety laws. Steering Committee 389 has instructed all ministries, sectors and localities to step up their inspection missions to deter the transportation or circulation of unsafe or counterfeit food in markets. By now I can say that initial results have been recorded in raising the general public’s awareness of food safety. Many food businesses have signed a commitment to say no to unsafe food additives or unsafe food materials. * What are the challenges facing people engaged in the fight against unsafe food? The first and biggest challenge we are facing now is the shortage of human resources and the small budget used to fight unsafe food. Other challenges include the shortage of auditing equipment which is also outdated and the weak law enforcement mechanism used to target unsafe food production and sales. It is undeniable that livestock breeding and agricultural practices of the majority of Vietnamese farmers remains fragmented. This is a big challenge for authorities to control the quality of products produced by farmers. * Could you please further discuss the efforts that agencies are taking to prevent unsafe food? Earlier this year, Steering Committee 389 issued a plan to step up inspection activities and fight against the use of counterfeit or low-quality raw materials in the production of animal feed or food processing. In addition, Steering Committee 389 has instructed customs officers and border guards to co-ordinate closely to break up smuggling rings across the border. The committee also asks the media to join hands in the fight against unsafe food by raising the general public’s awareness of food safety and saying no to unsafe food.